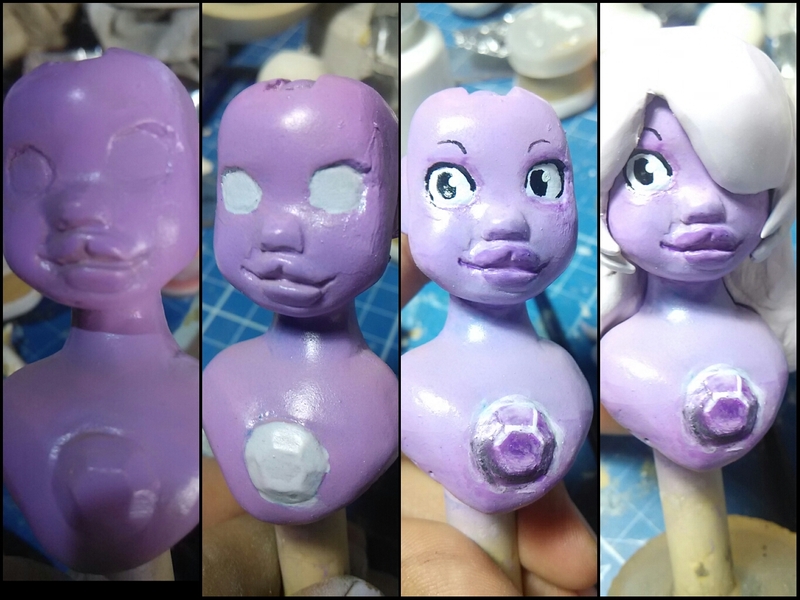 Here's a collage of the painting progression I did on Amethyst. The gem on her chest can be better. 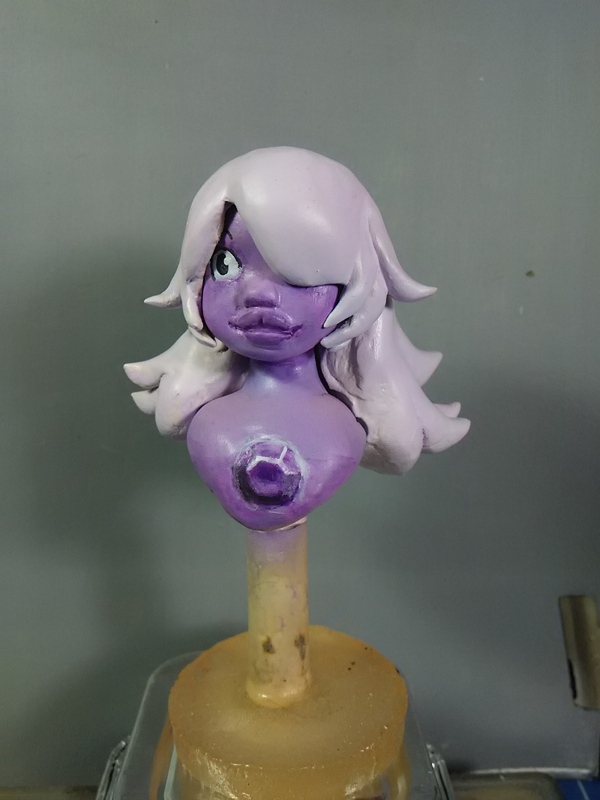 I should've never added black to make a darker shade of purple. It's just silly. 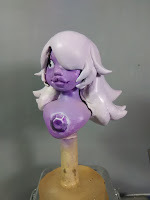 More pictures of Amethyst. Click to view bigger version. I learn that by using printer inks and acrylic medium you can adjust the temperature of the color pretty easily. Especially if you have an airbrush. 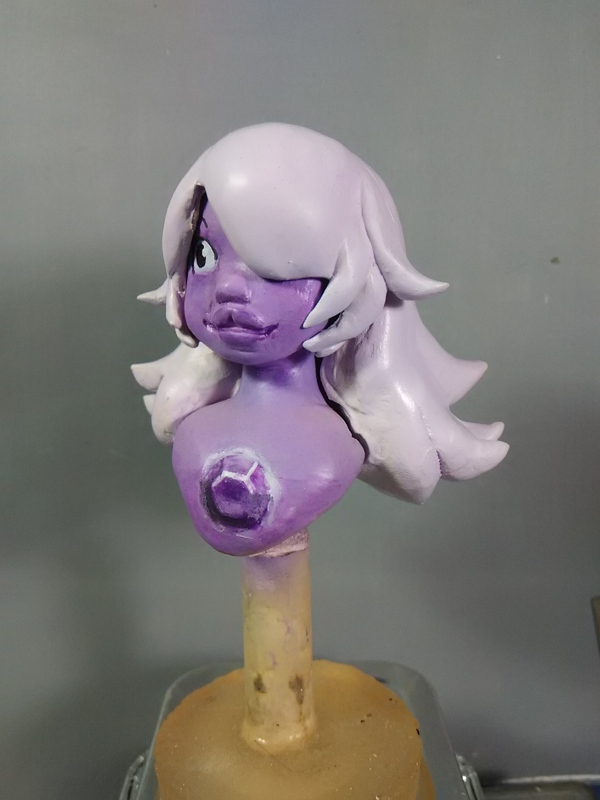 My purple paint was too warm of a temperature to match Amethyst's cool complexion. 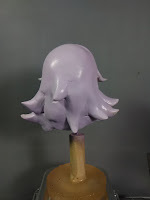 So after spraying the base purple skintone, I sprayed a light mist of watered down cyan ink+acrylic medium. 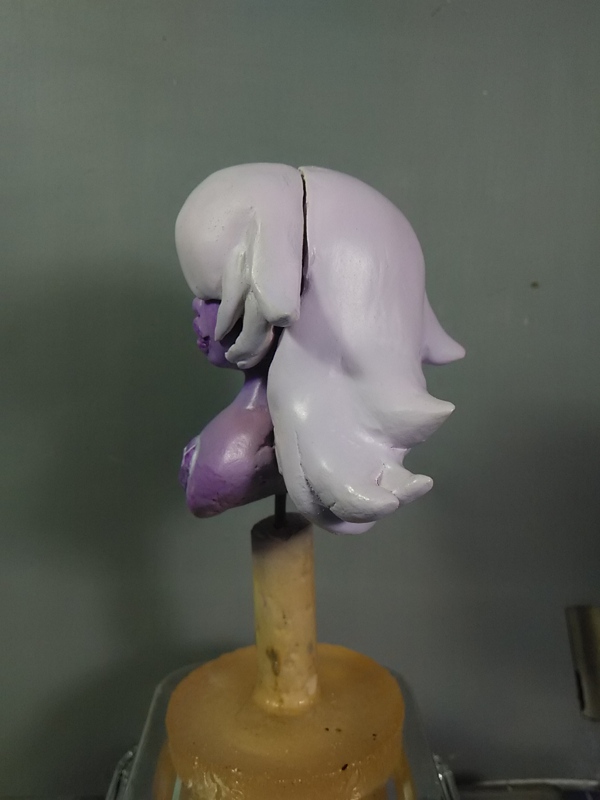 You can see it on the base of her neck. This piece was fun to do. And fast too. The quality is more of a sketch, clocking at under 5 hours of work. Most of it was sanding. And I didn't even do a good job on that front. 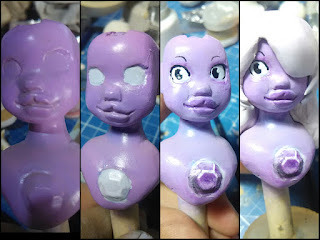 On to Lapis and Garnet. Oh, here's the turnaround video of the sculpt. Enjoy!